Europe’s first president: Prophetic significance? In January 2009 the United States will inaugurate its 44th president. The selection process has been underway for many months. But few realize that, across the Atlantic, it’s quite possible that the European Union (EU) may see its first president also assume office in January of next year, beginning a 2½-year term. Currently the two primary candidates are former British Prime Minister Tony Blair and Jean-Claude Juncker, current prime minister of Luxembourg. The EU process of selection runs roughly parallel with this year’s U.S. presidential race, although the methods are vastly different. The much less democratic EU selection will be by a “council of chiefs of state and government created by the Lisbon Treaty” (International Herald Tribune, Jan. 22, 2008). 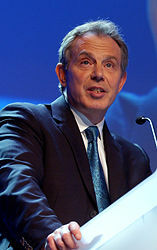 Europeans who oppose Tony Blair’s candidacy point to Britain’s ambivalence about its EU role in general. The U.K.’s choice to reject the euro as a national currency doesn’t help his cause either. Britain’s participation in the Iraq War is yet another important factor. However, in January Mr. Blair delivered a strong pro-Brussels speech in the French language at a Parisian conference in the presence of the new president of France, Nicolas Sarkozy. Prime Minister Juncker’s reputation is “that of a European federalist or super-state advocate” (ibid.). Many in Britain oppose his candidacy. Perhaps a compromise choice will eventually emerge. The term of office and the powers of this new EU presidential office are definitely limited in scope for the present time. Still, many European observers consider it a groundbreaking move forward for Europe. This is just one more step in the steady EU progression towards greater political union with a European military force firmly in the EU vision. In retrospect, the progress made in the last 50 years has been nothing short of astonishing. And the reality is that not only has Europe’s unification “progress” been astounding, it is even more astounding when one considers the fact that the European peoples themselves (specifically the Western ones) have generally not approved the plans for this unification. (It is also astounding that Tony Blair became a Catholic last year, which would tend to help his chances, see also UCG: What About the President of the European Union? and Tony Blair a Catholic EU Leader?). UK prime minister Gordon Brown has agreed to a secret deal with Germany and France which effectively rules out Tony Blair as a new EU president but the British ex-leader is also interested in the new role of Europe’s foreign chief, a UK daily is reporting. And while Tony Blair may or may not be the first EU President (and thus may or may not actually be blocked), he most certainly will NOT hold onto power as the EU will eventually destroy his native land. Biblical prophecy shows that a Beast-power will arise, will invade the Anglo-Saxon powers, and Europe (for many reasons) is the logical place for the location of this Beast-power. And the Church of God has been warning about this for over 60 years! We in the Living Church of God will further continue to warn people that the Beast-power is forming in Europe and will eventually destroy the United States, Great Britain, Canada, Australia, and New Zealand–as well as impose its new order religion on the rest of the world. Who is the King of the North? Is there one? Do biblical and Roman Catholic prophecies point to the same leader? Should he be followed? Who will be the King of the North discussed in Daniel 11? What kind of religion will he attempt to impose on the world? Is a nuclear attack prophesied to happen to the English-speaking peoples of the United States, Great Britain, Canada, Australia, and New Zealand? When do the 1335 days, 1290 days, and 1260 days (the time, times, and half a time) of Daniel 12 begin? This entry was posted on Monday, May 12th, 2008 at 5:30 am	and is filed under Prophecy.